Potholes are one of the most common causes of damage to cars this time of the year. Check out our guide to caring for your car through the potholes and beyond. Help prevent pothole damage with these tips. Avoid potholes if you can safely do so. 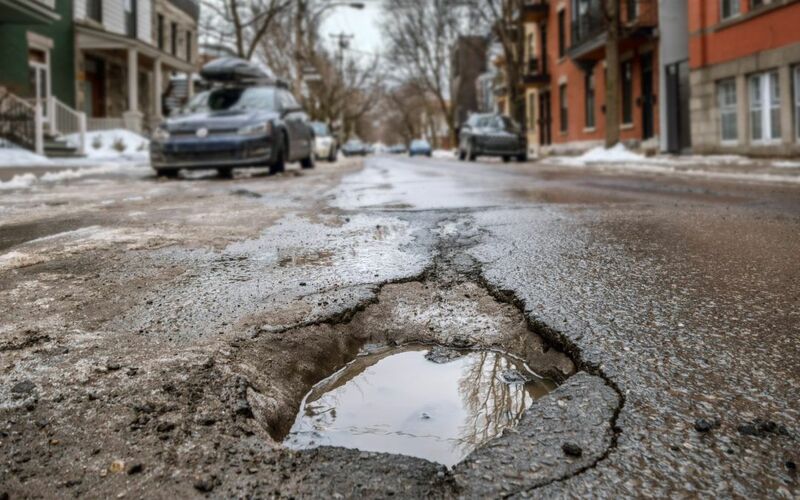 The best way to prevent damage from potholes is to avoid hitting them to begin with. Keep your windshield clear and your headlights in good working conditions so that you can see potholes as you approach them, and when it’s safe to do so, steer around them. It can be especially dangerous to hit a pothole when your tires are either over or under inflated because they’re more likely to pop. There are two theories when it comes to potholes: hit them fast or hit them slowly. The best is somewhere in the middle: slow down but release your brakes before hitting the potholes and allow your suspension system free range. Keep a firm grip on your steering wheel. To maintain control as you hit a pothole, keep a firm grip on the steering wheel with both hands and make sure you’re steering straight, not swerving or turning as you hit a pothole, especially at speed. You can’t see into a puddle – often they’re hiding potholes! Keep an eye out and slow down as you drive through a puddle. Check for damage if you hit a pothole. Look out for any bumps or bulges on your tires – these are weak spots and tires with bulges need to be replaced ASAP. Tires may also be flat or noticeably deflated. Keep an eye out for treat separation too. If you hear new sounds, especially coming from the underside of your car, it may be from your exhaust system scraping on the ground after hitting a pothole. Feel for pulling and bouncing. If your steering is pulling to one side or the other or your car is bouncing more than normal, the pothole may have damaged your steering and suspension system. You hit a pothole and notice damage. Now what? Take your car to a professional and have it inspected for damage and repair or replace parts that need it. Report potholes to your city, county, or state. Google “where to report potholes in (your town)” to find information on how to report. The more potholes are reported and fixed, the safer our roads will be.